FEATURE — The previous night’s rainstorm had cleared, and traffic was calm as the Masons drove their way through town to their only daughter’s wedding. Stopped for a moment at a red light, they didn’t have a care in the world until suddenly, a horrifying crunch. Without even a warning of squealing brakes, a distracted driver had slammed into the couple’s vehicle, jarring them forward into the airbags and sending broken glass in all directions. Cancelled plans, physical injuries, property damage. And now the most important question: What should we do? While this is a fictional scenario, any regular readers of St. George News – or just any local drivers – have seen the mangled proof on city streets of this all-too-common reality. 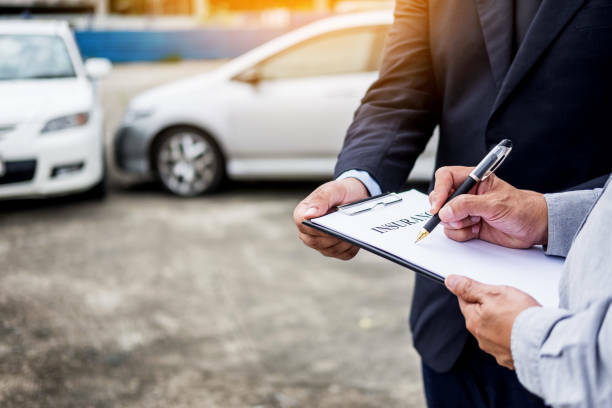 Even if a person hasn’t been involved in an accident, all drivers should be aware of what is specifically covered under their automobile policy. The personal injury attorneys at 1LAW have been serving Southern Utahns for over eight years and know exactly how insurance companies in the region operate during moments of crisis. They can help to avoid the common mistakes and complicated pitfalls of dealing with an auto accident, especially if it involves injuries. Even though Utah law requires all drivers carry personal injury protection – or PIP – coverage, many consumers do not even know they have these benefits as part of their automobile insurance policy. PIP provides coverage for anyone involved in an accident regardless of who is at fault. Even passengers or pedestrians have at least $3,000 in potential benefits, the minimum required for coverage. Generally, when most people begin shopping for auto insurance they ask their agents to get them the lowest price possible, usually just enough to meet that minimum. However, people do not often consider how quickly those funds diminish in the days following an accident. Tyler Todd, a personal injury attorney at 1LAW, said that with only a small increase in their monthly premium, consumers can increase their PIP benefits from $3000 to $10,000 and substantially reduce the risk of being stuck with unforeseen costs. Surgeries, hospital visits, ambulance transportation, medication, imaging and rehabilitation services. The deductible from your health insurance. Lost wages for you and your passengers and possibly the cost of substitute employees for self-employed individuals. Daily life services that you may not be able to handle yourself due to injuries, such as housecleaning or taking care of the kids. Funeral expenses, such as caskets, plots and cremations. As part of the minimum coverage required in Utah, consumers are eligible for $1,500 per person in funeral expenses, a $3000 death benefit, the lesser of $250 a week or 85 percent of lost income and up to $20 per day for services. Why you should contact an attorney? Just like with auto insurance, attorneys at 1LAW hope that people never need to make an appointment and utilize their services, but if the unfortunate situation does arrive, they stand ready with qualified advice and the patience to lead their customers through the difficult process. Todd said clients assume they have the coverage they are required to have but still don’t understand how it works. For example, he said, many people don’t know their uninsured or underinsured amounts and how much of their benefits can be distributed to them based on the incident. In a case where someone is significantly injured, Todd said, the minimum policy of the person that caused the accident may not pay out what might be needed and inadequately compensate the injured party. It is important for the community of drivers to be proactive and educate themselves before an accident occurs. That way they can be assured to actually have full coverage and the necessary benefits to protect their friends and family. If you haven’t heard the details of PIP or are unsure about the specifics of your automobile policy, contact your insurance agent or 1LAW immediately to schedule an appointment for a free sit-down consultation at 435-673-1529. Written by ANDREW PINCKNEY , St. George News. This is not a news story. It’s literally a paid advertisement for this law firm, if you observe closely.